If 2010’s “Dancing on My Own” by Robyn is still your go-to tears-on-the-dance-floor anthem, you’ll definitely want to give newcomer Tove Lo a try. Lo, a pop singer from Stockholm, Sweden, made a big splash online last year with her quirky break-up song, “Habits.” Since then, she’s gone on to pen tracks for Swedish dance-pop duo Icona Pop (of “I Love It” fame) and even Glee’s Lea Michele. Signed to Universal Music AB, Lo released her first EP titled Truth Serum on March 3 — an impressive collection of explosive, emotional pop songs that prove she’s one to watch out for. If Robyn’s absence from the music scene has left a big Swedish-pop shaped hole in your heart (I swear, she better be coming back with new music soon), give Truth Serum a listen! You won’t be disappointed. I wouldn’t be at all surprised if Lo’s music ends up on a show like HBO’s Girls in the near future! The Truth Serum EP is all about emotional extremes — the super highs and the super lows. On the EP’s opening track, “Not On Drugs,” Lo swears up and down that her euphoric state is not due to drug use, no, she’s “just in love.” Um, where can I get some of that? The drug metaphor is echoed on the aforementioned “Habits,” only this time, Lo is struggling to find ways to “stay high” in order to forget about a former lover. On “Paradise,” Lo sings about a relationship so perfect that it can only be described as, well, “paradise.” But on the EP’s second-to-last song, “Out of Mind,” Lo’s down and out again, lamenting, “You’re out of your mind to think that I can keep you out of mine.” Wow. It’s a serious emotional roller coaster! Lo’s unique vocal tone and her talent for writing catchy hooks and shocking lines that pack a surprisingly hefty emotional punch make Truth Serum a truly thrilling listening experience. 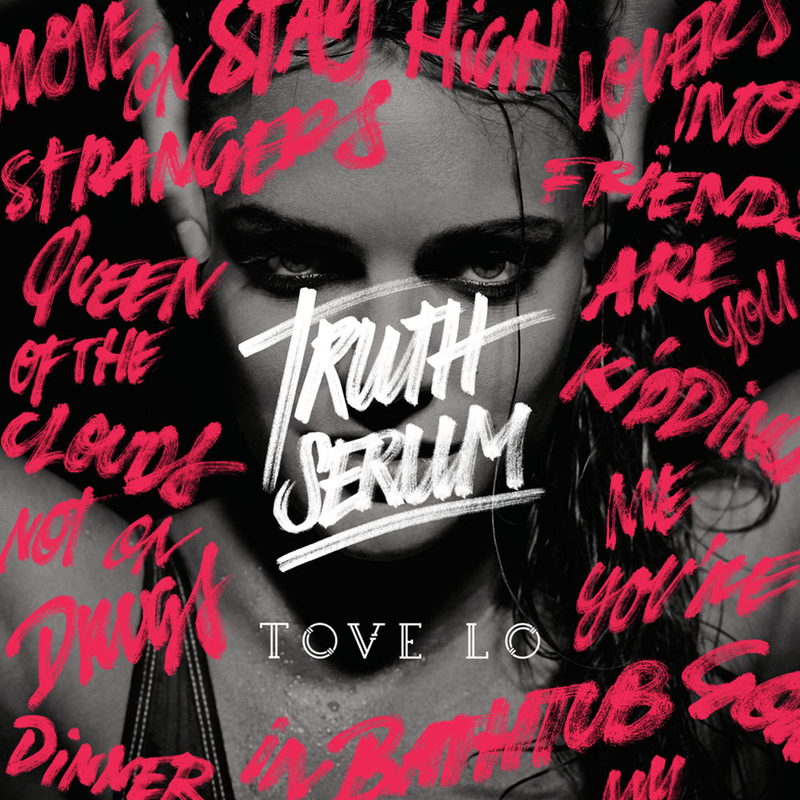 Get a taste of Tove Lo’s sound on her official Soundcloud. Truth Serum is available on iTunes now! The EP is also streaming on Spotify.